You will love this gorgeous, cozy beanie. It is a must for this winter. What makes it great its a deep moss color with cream inserts and a fancy pom pom. The Pine Barrens Beanie was made with lightweight, thick yarn. The link to the full pattern is below. Would you Like us on Facebook? 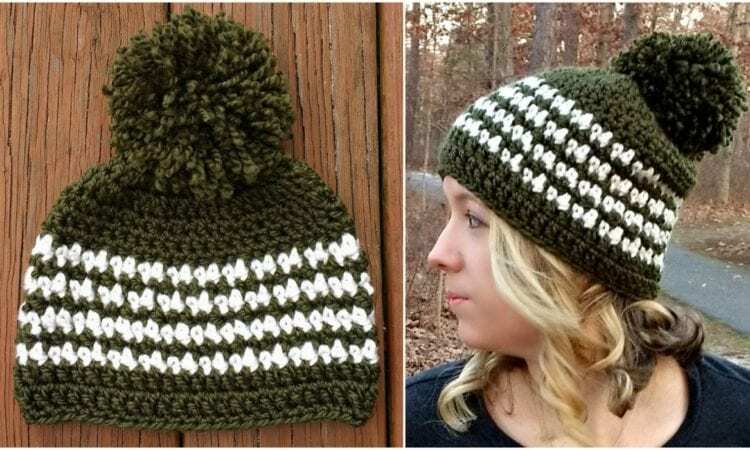 Pine Barrens Beanie Crochet Pattern – the free pattern is here. For more ideas and free crochet patterns join our Facebook group.